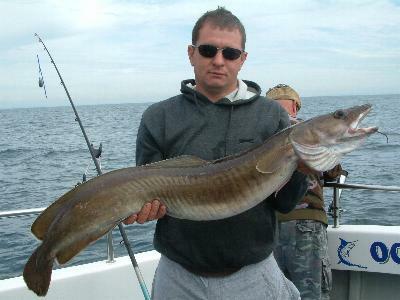 Paul Matthews crew had this 20lb Ling. Caught on a sidewinder on an offshore wreck. 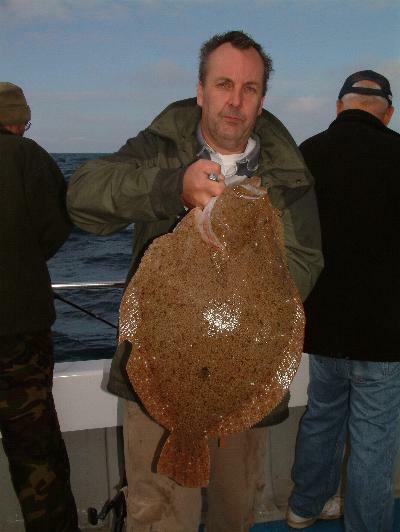 Tracy Monk with his 9lb 4oz Brill. Caught on a mackerel flapper on a 8.0 hook! 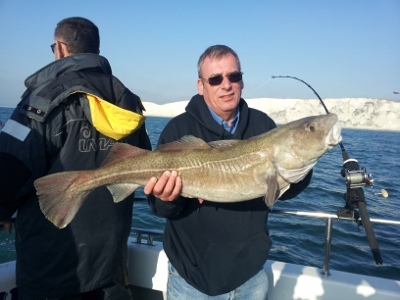 Bob Rose from Oxfordshire with a 17lb 4oz Cod. It was caught on a worm and squid cocktail on an inshore Cod mark. Mick with his double figured Cod. 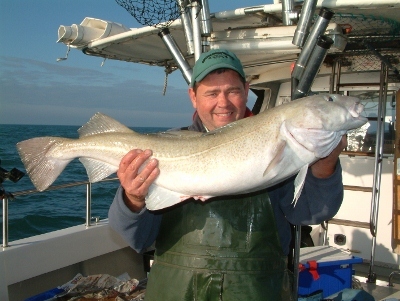 They also had a few more Cod and some good Whiting, there were plenty of them on the inshore ledges. There have been a lot of nice sized Dabs and Plaice still around which is a bit unusual for this time of year. 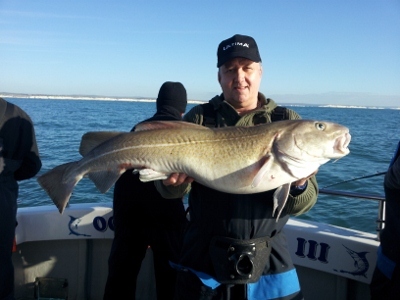 Sean Harris with his Cod of 20lb. It was caught inshore using worm and squid. The ground fishing has been inconsistant with some good days having big Cod’s, but then having days where we are struggling. Much the same with the Whiting at the moment, some days we cannot get through with so many there! We have had quite a lot of Easterly winds which could have slowed it up a bit. Hopefully it will get better when it gets a bit colder for the Cod, as the water is still warm and we are still catching Mackerel.